The white skins are "creamy white." The natural color of the skins often has a yellowish hue to the color. As the skins have not been bleached, they often have varying degrees of "cream." 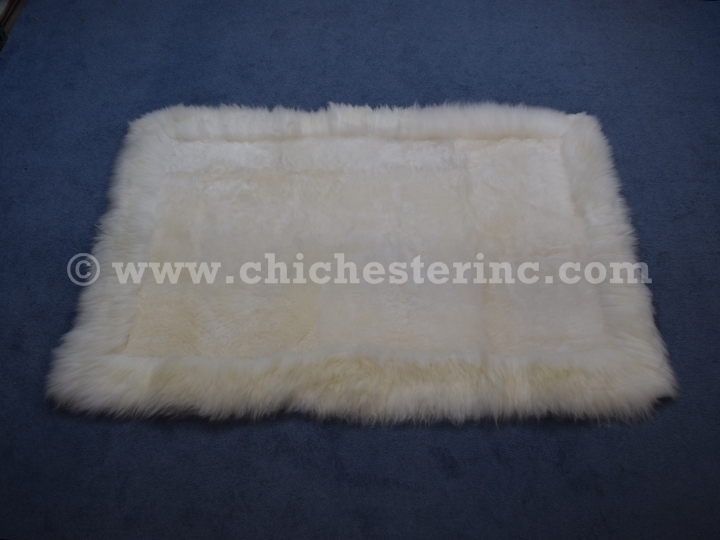 With a wool length of approximately 4” to 6”, the sheepskins make ideal rugs and furniture coverings. The hair is so long that it does not go in one direction like a dog or cat's fur, but rather it falls in every direction. You cannot feel the seams when walking on the rug. This is not a hollow hair, so it doesn't break or shed. 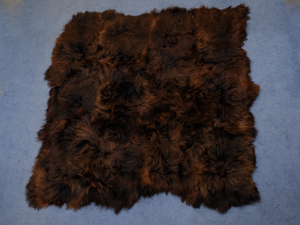 These Icelandic sheepskin rugs are Eco-tanned without the use of heavy metals. The exact formulation is a trade-secret but the tanning meets European Union regulations for an environmentally friendly tanning process. 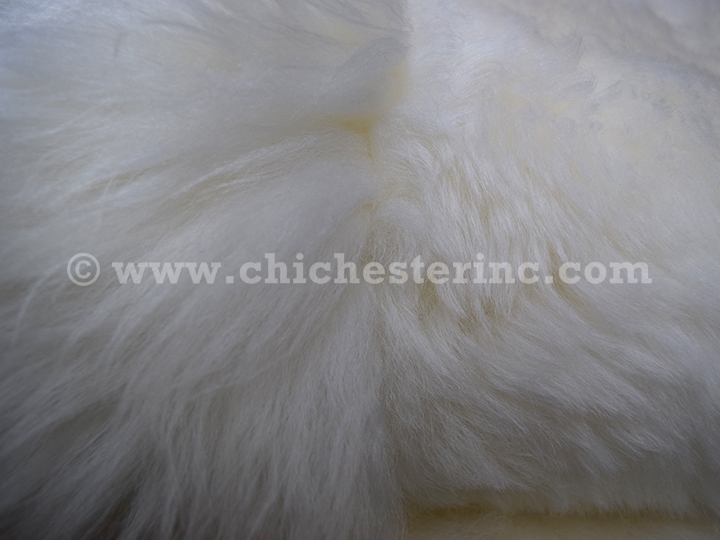 1) All sizes are approximate and are measured from the wool side, not the skin side. Each rug will be a bit different because the skins used to make the rugs vary. 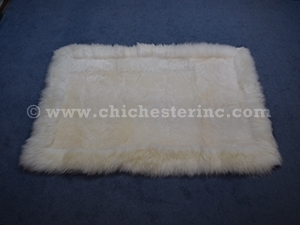 2) Pricing is US$25.00 per square foot for white rugs. This will help you estimate custom sizes. 3) Other colors besides creamy white may be available on a custom-order basis. 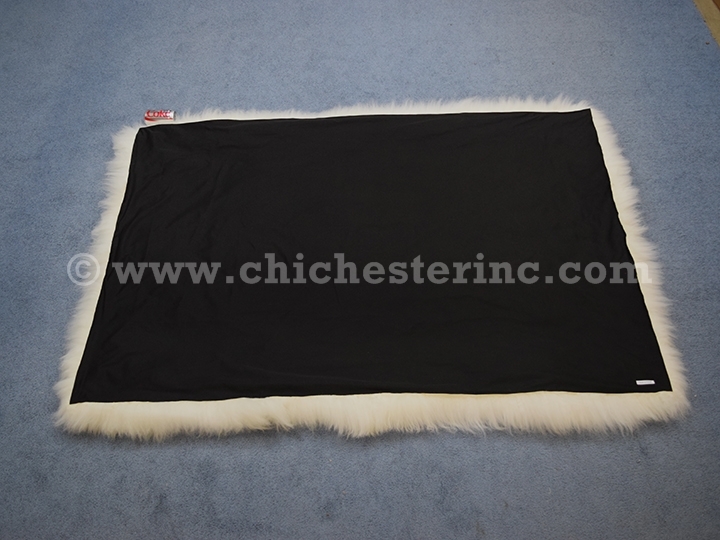 The sheepskins come in four other colors: black, brown, gray, and piebald (white with black spots). However, because of the large variation in the gray and the brown skins, the larger the rug you want, the more difficult it becomes to match the skins in terms of color. Click HERE to go to our Main Icelandic page to see the other colors available. Prices are also higher for other colors. Expect US$30.00 to US$35.00 per square foot. 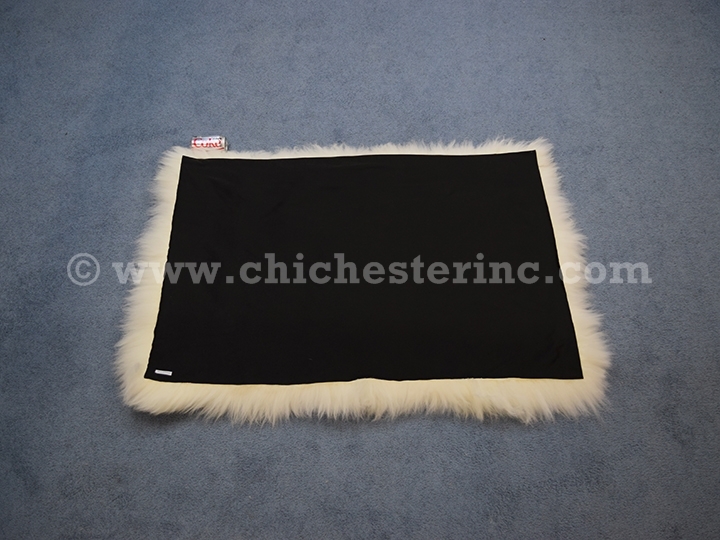 4) Larger rugs are available on a custom-order basis. Please note that rugs larger than 12' by 12' become very difficult to handle and have significant price increases for labor. 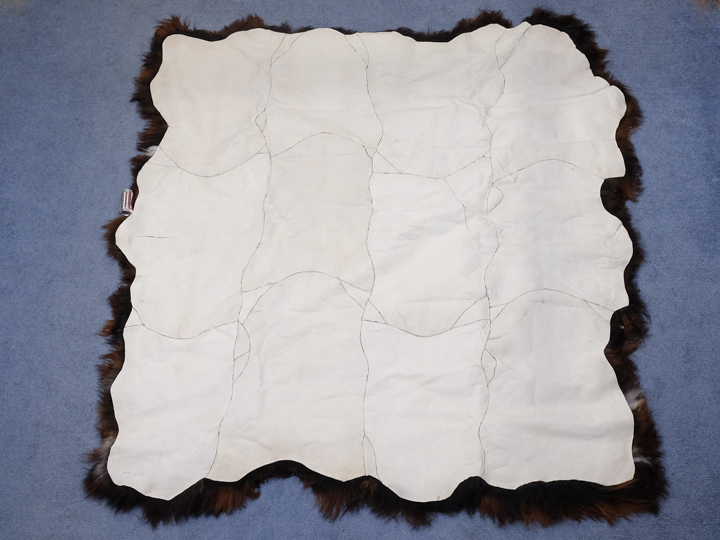 Depending upon the size of the rug, it takes two to three people to sew the skins together. 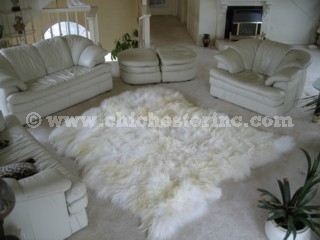 Very large area rugs can be made by using two-inch wide Velcro tape to keep the rugs together. 5) Authorized returns only within five days of receipt if you are unhappy with the rug for any reason. You pay shipping and insurance both ways. No returns on used rugs for any reason. 6) Rugs in stock (listed as gallery items) can be shipped immediately. Please allow four to six weeks for completion of custom work. 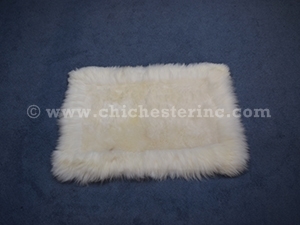 7) We can add a lining to the back of the skin for an extra US$250+ depending upon the size of the rug. We can use velvet or wool for the backing. We do not recommend a satin backing as the rug will slide too easily. For more information on the Icelandic sheepskins used to make these beautiful rugs, please click HERE. Do not dry clean the skins as the dry cleaning process will remove the natural oils from the skin. For cleaning instructions, please click HERE.